Better known as Lito, Rafael Ibarra was born in San Salvador, El Salvador, in 1957. He holds professional degrees in Electrical Engineering and Business Administration, as well as a graduate degree in New Information and Communication Technologies. His work and expertise in the field of Information and Communication Technologies, more particularly the Internet, include private, academic and government companies and institutions, both in his country as well as in the region of Central and Latin America. Since 1993, a time when Central America was starting its journey towards the new connectivity, he has been actively involved in the process of developing, disseminating and appropriation of the new forms of communication with the aim of using them as a means for human development and differentiation. He managed and administrates the .SV domain name delegation (received from Jon Postel), as well as an IPv4 address block equivalent to a class B. At international level, he is a founding member of LACTLD and RedCLARA; at national level, he is a member of SVNet, Infocentros, RAICES, Asociación Conexión, Club TIC, and CasaTIC. He is also director of the Salvadoran ICT Cluster, president of the Advisory Council on Innovation, Science and Technology and other private organizations and companies having to do with the industry. He regularly contributes to print and digital publications, and frequently gives lectures and conferences aimed at disseminating and promoting the proper use of new technologies. His blog can be found at http://blogs.laprensagrafica.com/litoibarra/. He served on the boards of LACTLD, RedCLARA and LACNIC, and was the first person to be part of these boards concurrently. He also serves on the boards of nonprofit organizations, government entities and private companies in his country. He contributes to LACNIC as a Board Member since 2010. 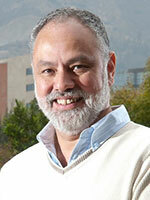 He has conducted research and directed graduation theses and projects on related topics. He is considered an authority on Knowledge Society issues in El Salvador and other countries around the region, reason for which he is frequently interviewed by the media and invited to be a part of government, international cooperation and multilateral agency initiatives. He is known as the "father of the Internet" in El Salvador because of his role in its initial management and his subsequent contributions. He has served on judging panels at national and international events and has been honored with several awards for his work. He is married, has three children and two grandchildren, from whom he is able to learn firsthand the sociology and psychology of the new digital society in which we live and whose Latin American evolution we must define. George Sadowsky studied and taught mathematics at Harvard and received his Ph.D. in Economics from Yale. He worked as a mathematician and programmer, and headed computing centers at the Brookings Institution, Northwestern University and New York University. At the United Nations, he supported technical assistance projects and has worked in more than 50 developing countries. 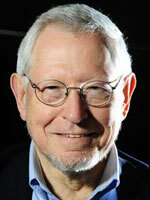 He has been a consultant to inter alia, the U.S. Treasury, UNDP, USAID, W3C, the Swiss Government, and the World Bank. He has served on Boards of AppliedTheory Corporation, educational networks CREN and NYSERNet, and the Internet Society where he directed ISOC's Developing Country Network Training Workshops. 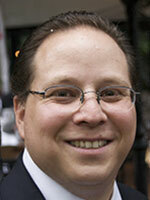 More recently he was Executive Director of GI, the Global Internet Policy Initiative. He has written and lectured extensively on ICT and development. He recently completed writing and editing a book for the Web Foundation and the Rockefeller Foundation, 'Accelerating Development Using the Web: Empowering Poor and Marginalized Populations,' which is available at http://public.webfoundation.org/publications/accelerating-development/. In June 2013, George was inducted into the Internet Hall of Fame and received the Global Connectors award which recognizes individuals from around the world who have made significant contributions to the global growth and use of the internet. George was selected for his first 3-year term on the Board of Directors by the Nominating Committee, beginning after ICANN's annual meeting in Seoul on 30 October, 2009, and serving through the annual meeting in Toronto in 2012. He has been selected for a second 3-year term beginning after the annual meeting in Toronto on 19 October, 2012, and serving through the annual meeting in 2015. Additional information about George can be found on his website, www.georgesadowsky.org. Lousewies van der Laan (born Rotterdam, 1966) is a Dutch lawyer based in Slovenia, who has served in various leadership positions in public service at national, European and international level. She brings her experience of politics, European affairs, democracy and good governance, human rights and the rule of law to ICANN. She grew up in the Netherlands, Belgium, Germany and the United States of America, where she graduated from the United World College of the American West in New Mexico. After obtaining a law degree from the University of Leiden (the Netherlands) she obtained a diploma in international relations from the Johns Hopkins University School for Advanced International studies in Bologna, Italy. She started her career in Brussels in the European Commission working on supporting countries of the former Soviet Union transition into market oriented democracies. After a stint at the European Bank for Reconstruction and Development in London, working in environmental investments, she re-joined the European Commission as a member of cabinet of WC Commissioner Hans van den Broek working on the reunification of Europe, international relations and global human rights issues. In 1999 she was elected to the European Parliament for the progressive democratic party D66, where she served as Vice-president of the Budget Control Committee and the Committee on Justice and Civil Liberties. She was also a member of the Committee for Equal Opportunity and Women's Rights and co-founder of the Intergroup for LGBT Rights and the Campaign for Parliament reform, working to make the Parliament more transparent and accountable. She forced the European Parliament to publish its internal documents: by copying them from the institution's intranet to the Internet, enabling equal access to information. In 2003, she became a member of the Dutch Parliament, where she served as chair of the committee for Technology Policy and vice-chair of the Europe Committee. 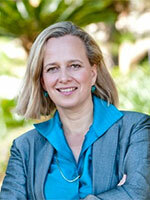 In 2006, she became the D66 parliamentary leader. After leaving Parliament, she served as chief of staff of the President of the International Criminal Court in The Hague, which was set up by governments to fight impunity worldwide. She currently works as an independent consultant on strategy, communication, public affairs and politics, democracy, human rights, rule of law and good governance. She lives in Ljubljana with her husband and two children. Until November, she serves as vice-president of the Alliance of Liberals and Democrats for Europe. 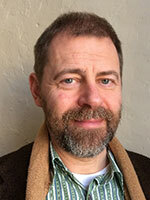 As of January 1st, 2009, Timothy was elected to be a member of the Board of Trustees of ARIN, the American Registry of Internet Numbers, renewed in 2011 and 2014 by the ARIN electorate for three year terms. He served as Chairman of the Board of Trustees of ARIN from January 2011 to August 2013. 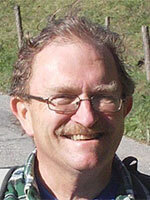 Timothy also acts as the chairman of the Canadian Chapter of the Internet Society. Timothy lives in Ottawa, Canada. Timothy's website is www.tmdenton.com. 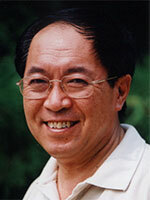 Dr. Kaili Kan is currently Professor Emeritus at School of Economics & Management (SEM), Beijing Univ. of Posts & Telecommunications (BUPT) and Director of Policy & Development Institute of Information Industries (PDIII). Dr. Kan received his Ph.D. from Stanford University, after which he worked as manager of Strategic Technology Assessment at Pacific Bell, Special Advisor to ChinaSat, and consultant for the World Bank. Since 1987, as Deputy Director of the Economic & Technological Development Research Center (ETDRC) of the Ministry of Posts & Telecommunications (MPT), Dr. Kan was responsible for research on China's ICT policy and development strategy for over a decade. In 2000, Dr. Kan became the first dean of SEM and professor of economics at BUPT. Since 2006 he is partner at Fulton & Fulton, a law firm specialized in intellectual property and IT law based in Mexico City, and is head of the Intellectual Property division. Since 2008 he was admitted as professor on Intellectual Property at the UNAM Law School. 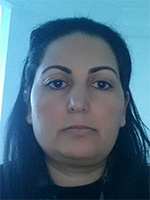 Wafa Dahmani Zaafouri is Senior Engineer head of NIC/LIR department in ATI responsible for the management of the national ccTLD registry ".tn" and the National Register IPv4 / IPv6 (Local Internet Registry). She has more than fifteen years of experience (since 1999) in systems and network administration, software engineering, requirements analysis, architecture design, implementation and management of Internet core network services. Wafa is known for the ability to tackle difficult issues, analyze viable alternatives, and provide innovative solutions that stick to the project. She is recognized for her expertise in the development and optimization of business processes, using a proactive approach to problem solving. Wafa has progressed from exploiting, supervising and upgrading of Internet core network services, to management of the Network Information Center of the Tunisian Internet Operator. She has worked closely and effectively with all levels of management to satisfy project / productivity /SLA requirements. Wafa is an eternal student of nature, including curiosity and self-learning as an essential tool in the creation of added value and efficiency in mastering the new challenges. Johan "Julf" Helsingius is an independent business adviser with industry experience in both computing and telecom, holding board positions in several internet-related companies and organisations, as well as non-profit organisations. Julf started out with networking by managing the UUCP/USENET node for Finland, and later the first commercial Internet Service Provider in Finland, as well as setting up the Finnish Internet Exchange (FICIX) and .FI ccTLD. He also helped set up network connectivity to the former Soviet Union. In 1997 Julf received the EFF (Electronic Frontier Foundation) Pioneer Award for implementing and operating one of the most widely-known and popular e-mail-based pseudonym servers, anon.penet.fi. Julf moved to Amsterdam, The Netherlands to be part of the management team of the first pan-European ISP, EUnet, with operations in 14 countries. He then served as Chief Technology Officer and Executive Vice President responsible for technology strategy, research and product development at KPNQwest, the networking infrastructure and service company formed by Qwest Communications (Denver, Colorado) and KPN (Netherlands). Since leaving KPNQwest, Julf has held board positions in a number of hi-tech companies, such as BaseN Networks and Viola Systems (as Chairman of the Board). He has also served on the boards of Bits of Freedom, Technologia Incognita and Bridges.org. Valerie spent over 15 years as a government affairs, public policy and regulatory professional in the international telecoms, technology and Internet industries. Her career began with the Singapore public service and she joined the private sector at the advent of telecoms liberalization and competition. At British Telecom, France Telecom, Skype and Microsoft, she was an active participant in the revolutionary changes that transformed the digital landscape. She continues to play an active role in shaping the future of Internet technology policy. Her involvement in trade and industry associations include leading capacity building and outreach programs with the government policy makers in Asia. 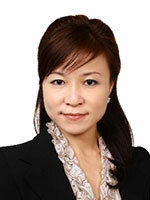 She was a co-founder and board director of the Asia Pacific Carriers Coalition and Asia Internet Coalition. She has served as a board member of the European Chambers of Commerce and presided over discussions that led to the EU-Singapore Free Trade Agreement as chair of the ICT committee. A Singaporean, she is fluent in English, Mandarin, Malay and speaks some French. Valerie graduated with a Master of Laws from the University of Northumbria at Newcastle in the United Kingdom and a Bachelor of Business from Singapore's Nanyang Technological University. She is married to a Singaporean lawyer. Christelle Vaval is an ever evolving lawyer, based in Port-au-Prince, Haiti. Her legal training and education was completed in Quebec, Canada, where she obtained a double major in Civil and Common Law. 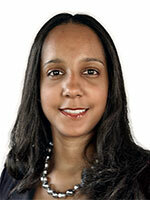 She is also a duly registered member of the Quebec (Canada) and Port-au-Prince (Haiti) Bar Associations. Christelle is specialized in Business Law and Intellectual Property and is also a certified .HT registrar. Christelle's involvement with ICANN includes her first time Fellowship at ICANN53 in Buenos Aires, Argentina. She advocates in favor of better access to the Internet and promotes the usage of the .HT ccTLD. In 2014, Christelle co-founded the first Haitian website that aims to promote and facilitate the purchase of .HT domains. She is also actively involved in many nonprofit organizations at various levels: Assistant-secretary of the Canadian-Haitian Chamber of Commerce and Industry (CCIHC), member of the Haiti Committee of the Montreal Bar and of the Diaspora Committee of AmCham Haiti, she also serves as Focal point for Haiti for the Organization for the Harmonization of Business Law in the Caribbean (OHADAC) project.